I watch in wonder as freshly ground sesame trickles down the 100 year-old stone grinders, the air thick with its aroma - tasting it, the intense flavour and richness of the seed is like no tahini I have tried before. For I am at Machne Yehuda Market in Jerusalem, Israel, at the start of a culinary tour that will take me from Tel Aviv to Jerusalem and Galilee. Tahini (or Tahina as the locals call it) is indeed at the heart of the Israeli kitchen, and as I was to discover, the cuisine has much more to offer including great local produce and some of the finest vegetable dishes anywhere in the world, but I’m getting ahead of myself - more of that later. 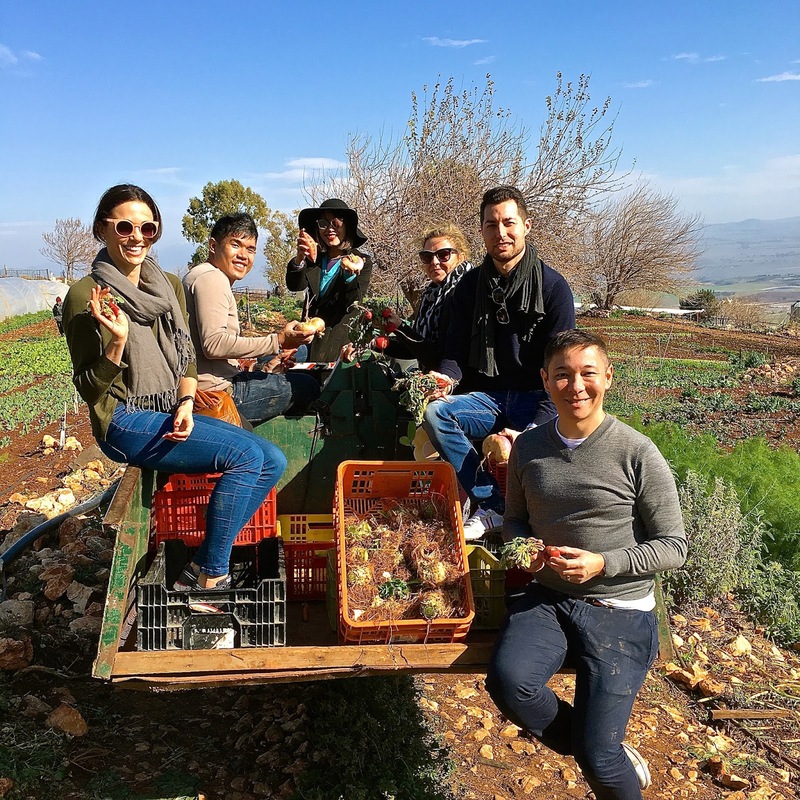 I was invited with a group of international food writers to the country by Vibe Israel, a registered charity and philanthropic organization founded by Joanna Landau, a British-Israeli woman, with the aim of showing the many facets of Israel to the world in a completely non-political context. A country the size of Wales, since its formation in 1948, Israel has gone from being a near desert nation to complete self-sufficiency in terms of food, water and energy. With a population that has grown from 800k to 8.5m today it has more start-ups per capita than any other country in the world, for its most important resource is its people. Chutzpah is a Yiddish word deriving from the Hebrew hutspâ, meaning insolence, cheek or nerve - this audacity is the characteristic which, for many, defines the Israeli people. In this troubled part of the Middle East, the whole nation has required a great deal of chutzpah simply to survive, let alone to prosper and become the cosmopolitan, vibrant and technologically advanced country it is today. Having lived near orthodox Jewish areas of north London for most of my life, I had a number of misconceptions about Israel before this trip. The Israelis I met on this trip were warm, and forthright, with a no-frills attitude I really came to appreciate. I was surprised to see how forward-thinking, tolerant and mostly secular the Israeli people are. In addition, they are very cosmopolitan, reflecting the inward migration of Jews from all over the world during the last 6 decades, as well the influence of the Muslim and Christian Arabs and the Druze, all of whom have lived there for centuries. But what about the food of Israel, I hear you ask? Happily for me, the cuisine is a heady blend of Middle Eastern, European and Mediterranean, making for some of the most vibrant cooking on the planet. In spite of many, seemingly irreconcilable political differences, food is the one thing that, to me at least, seemed to unite its people. Israelis from many different walks of life and ethnicities are proud of their food, and so they should be. One thing that struck me was their use of vegetables. In Israel, vegetables are centre-stage in any meal - they are not mere accompaniments as in the West. As a carnivore to my core, it takes terrific cooking for me to rave about a platter of greens, but I was full of wonder at what I saw. Take for example Israeli celebrity chef Eyal Shani’s burnt cauliflower. This humble vegetable has made his name, and has been heralded as one of the most innovative dishes far and wide, including by the New York Times. I was lucky enough to try his dish twice on this trip, to meet the chef, and to persuade him to give me the recipe, which I will be sharing in a later post. Another visit that illustrated the focus on vegetables was to “Farma Cultura”, in Bnei Zion, near Tel Aviv. Husband and wife Gil and Nadav, left Tel Aviv and purchased their abandoned plot of land three years ago. They turned it into their organic farm, where they grow organic vegetables and supply many of the local families and restaurants. It is also the venue for cookery demonstrations, and pop-up events, as well as a place for kids to learn how to plant and cook. We had a great meal here, the vegetables were bursting with flavour and accompanied by a number of delectable dressings including creamy tahini, garlic-flavoured goat’s yoghurt and hummus. It was also at Farma Cultura that we met Daphna Nissenbaum CEO & Co-Founder of Tipa Sustainable Packaging, who created the world’s first compostable plastic shopping bag and is one of the most promising of Israeli start-ups. In Western Galilee, in the town of Ma’a lot-Tarshiha, we had a magnificent Arabic-Galilee lunch at Aluma Bistrot. Of all the great dishes we had, the one I will remember for a long time to come was another vegetarian offering - their kohlrabi carpaccio - made from paper thin slices of kohlrabi, spiked with lemon, salt and truffle oil, with a scattering of pistachio, black cumin, and shavings of Parmesan cheese. What a fantastic and clever combination of flavours. Lunch was followed by an afternoon of foraging in the nearby woods with Dr Uri Meir Chissik, a local food historian and forager. Here was my first encounter with rubesa, a ubiquitous green leafy plant in Israel, and used in many different ways in cooking - luckily I was to try rubesa in more than one meal to come. It was surprising to see how fertile the land was, and we saw many other edible plants including mustard, wheat, chrysanthemum and even quinoa. Most of the trip was based around Tel Aviv, but we also visited Jerusalem and Western Galilee, and in my own spare time I went to Haifa and Nazareth in the north of the country. I will be writing about these in more detail in separate posts, as well as giving my own recommendations on where to eat in Tel Aviv and a couple of outstanding Israeli recipes I came across. With BA flights directly from London to Tel Aviv only 4 hours away, it has never been easier to visit Israel. The city is an ideal destination for a long foodie weekend away, or if you have a little more time, a fantastic base from which to explore a whole country and its cuisine. I'm so glad that you enjoyed it. 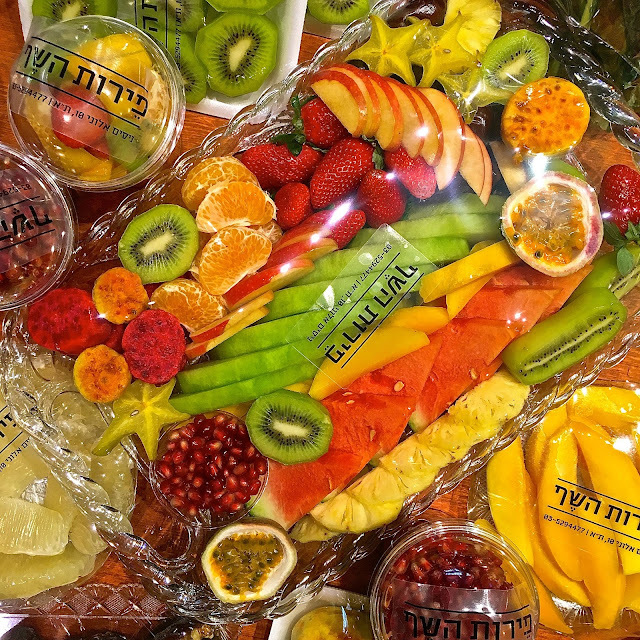 My sister in law lives in Tel Aviv and I love the food there. Can't wait to see what you tried! 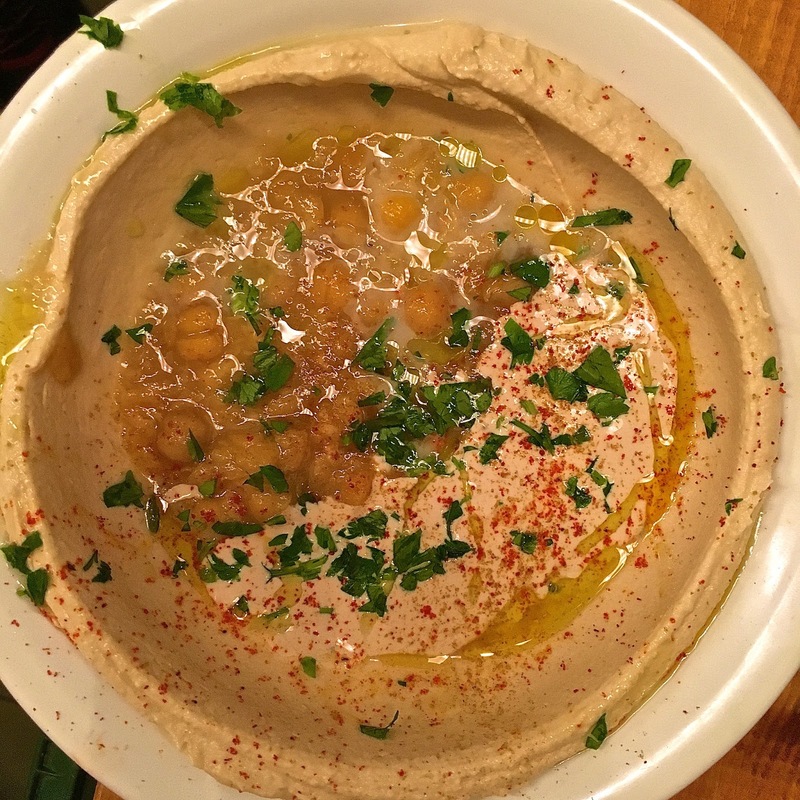 I saw the picture of the hummus and I told to myself: "My life has been a lie!" I have never heard of rubesa and I cannot find any information online. Does it have another name or do you know the scientific name for it?